The true anime fan can’t imagine his or her collection without themed-figures. Let us offer you anime toys and figures to add to your collection. You will find here high-quality items with the astonishing resemblance. 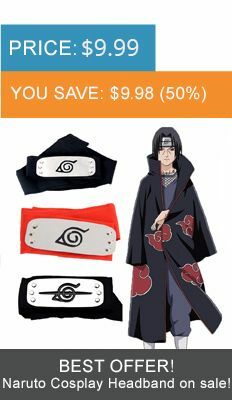 Here at HokageStore, we’ve got the biggest collection of Naruto Anime figures: Akatsuki members (Tobi, Zetsu, and others), Naruto Uzumaki, Uchiha Madara, Orochimaru, Kakashi, Obito Uchiha, Sakura, Gaara, Rock Lee etc. The Attack on Titan collection of figures consists of several Mikasa Ackerman figures. We got your favorite characters of Bleach anime in small miniature figures and big ones! Choose your favorite characters among Ichigo Kurosaki, captain of the 10th Division in the Gotei 13 - Tōshirō Hitsugaya and other characters. You can even get all of the characters at once! Choose Ryuk or Rem figures from Death Note Anime are made of new resistant PVC material and will look great in your anime collection. Death Gods love apples, don't forget about that! If you follow the adventures of an extraordinarily strong young boy named Goku as he searches for the seven dragon balls you will definitely love our Dragon Ball figures collection of Goku, Shenron and others. We got a highly poseable premium action figure of Roy Mustang which is full of painstaking detail and comes equipped with additional parts. The legendary One Punch man, aka, Saitama now comes in 3 figure set for you to decorate your room or desk! Also, we have a big action figure of One Punch Man which is known as the hero for fun. Get your hands on this collectible figure and show it off to everyone! You will love our Pokemon collection of figures and Plush Toys which also includes Pikachu Superheroes figures -the perfect crossover, bringing the best of both worlds. If you are a Pokémon, Superhero or Naruto fan, you will absolutely love this! For Sword Art Online lovers we have prepared Yuuki Asuna and Kirigaya Kazuto known as Kirito with a small stand on the bottom side to put them on your desk or shelf. We have a great collection of figures for Hayao Miyazaki Fans! Turnip-Head which is a scarecrow on two cross poles wearing torn clothing with a withering turnip for a head. This one-of-a-kind miniature model of Howl’s Moving Castle is the perfect collectible gift for any Howl’s Moving Castle fan! Also, you will find the most cuttie Totoro figures from the popular My Neighbor Totoro Anime. Luminous Tree Spirits or Kodama figures will glow in the dark and remind you about Princess Mononoke. Inspired by the Hayao Miyazaki anime, the money box has a special design and features a No Face Kaonashi spirit from Japanese animated film Spirited Away, making it the perfect gift for fans of all ages. Anime action figures can serve both as collectibles and toys. Find your favorite characters or gather them all. Don’t hesitate to pick the one you like!